Worth the Hype? 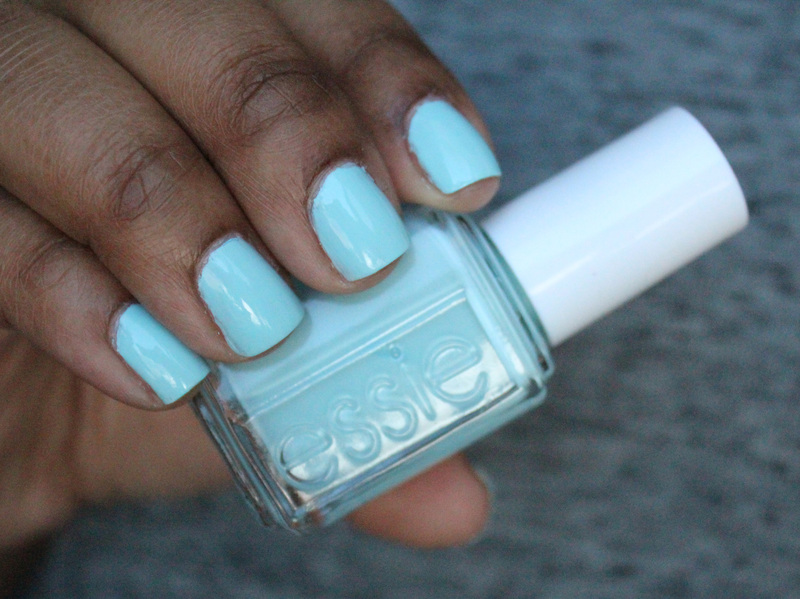 Essie’s ‘Mint Candy Apple’ – amandarobots. I purchased it more than three years ago and probably wore it once – that would account for its still-smooth application and good condition despite its age. I just wasn’t crazy about it back then. My tastes, however, have changed. I wouldn’t call it a mint colour, actually; it’s more of a pastel turquoise. It’s certainly the most opaque and workable formula of its kind; it’s completely opaque with little to no streaking in two coats. I have to say, it’s growing on me, especially in light of spring never coming. It’s a funky colour, and my nail colour tastes have become more funky as time has passed. I’m pleased I dug this one out of my collection and gave it a second chance.